Aphasia makes an appearance in the sixth season of NBC’s The Blacklist. In fact, the National Aphasia Association makes an appearance, too, much to our amusement. How did we get wrapped up in a crime-thriller television show plotline? James Spader plays Red Reddington, a former naval officer and criminal. At the beginning of the series, he surrenders to the FBI with an offer: He will help the FBI track down other criminals in exchange for immunity and to work exclusively with a profiler named Elizabeth Keen. 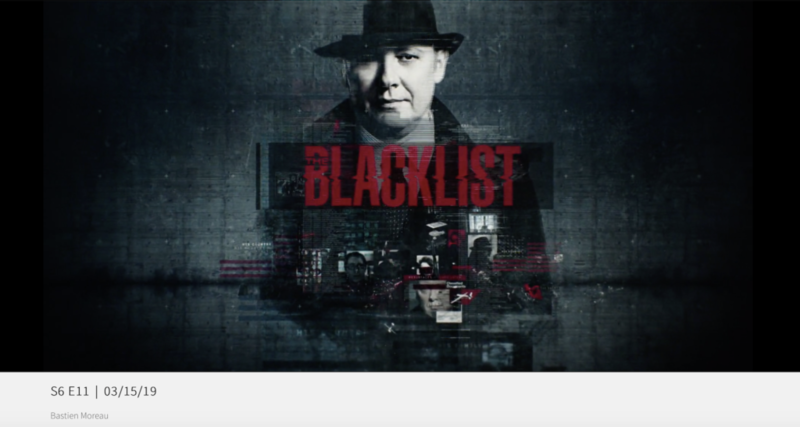 In each episode, Reddington and Keen track down and arrest one of the people on Reddington’s “blacklist” of criminals. Where Does Aphasia Come in? Samar Navabi is a Mossad agent who works with the FBI and helps Reddington get through his blacklist. She was in a car accident that ended with her van in the water, and her brain was deprived of oxygen. The near-drowning leaves her in a coma, and when she regains consciousness, she struggles with numbers and words. In fact, it’s dialing 911 (reversing it as 119) that first clues her in that something is wrong. Her fiance, Aram, who also works for the FBI’s counterterrorism division, is concerned about her, especially after he sees a text come in on her mobile phone from… Dan at the National Aphasia Association. Aram promises to help Samar with her aphasia, but the Mossad has different plans. They fear that her aphasia and memory issues will be a liability and send a group to kill her. Will Samar be able to outsmart some of the smartest agents in the world? You’ll have to tune into last Friday’s episode to learn Samar’s fate because this is a spoiler-free zone. This isn’t the first time an aphasia storyline has made its way into pop culture. Some television shows and movies introduce the condition better than others, but all of them create a base of understanding for the general public to recognize aphasia when they encounter it in the real world. What other aphasia storylines have grabbed your attention over the years? In Agents of S.H.I.E.L.D. aphasia gets a mention during Season 1 (one of the final episodes of the season). There’s some sort of procedure that affected people, which subsequently caused aphasia in some people. There is an episode of Law & Order SVU titled “Choreographed” in which a character has aphasia. A physician tells the detectives that this man was a successful attorney who lost everything after having a stoke and developing aphasia. He is now homeless and distrustful after living on the streets.